In this variation, their torso were black and white to match Two-Face's clothing pattern. Apart from this, they were basically the same as the Joker Henchman and Mr. 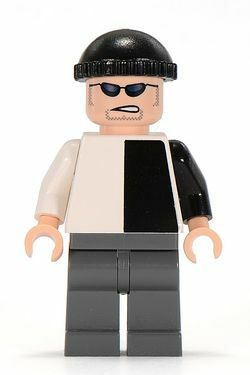 Freeze Henchman, wearing black hats and shades, flesh hands, along with unprinted grey legs. This page was last edited on 10 January 2016, at 00:58.